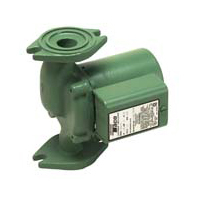 The Taco 007 Cartridge Circulator is designed for quiet operation in a wide range of applications. Available in cast iron or bronze construction with universal flange-to-flange dimensions. Unique, replaceable cartridge contains all of the moving parts so you can service it easily instead of replacing the entire unit.